During the five years my best friend Kelley battled cancer, we had an unspoken agreement to walk on Wednesdays. On the track or treadmill, in the neighborhood or around the lake, at the hospital or at the gym, if it was Wednesday, we walked. 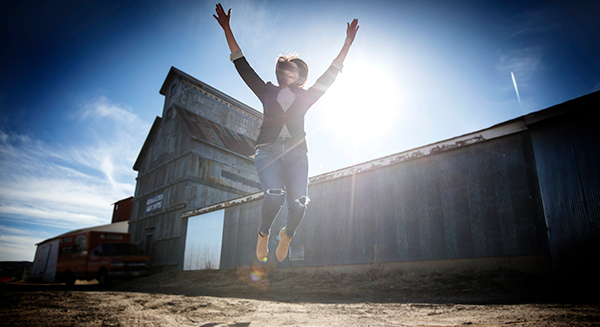 In the same years Kelley endured extensive cancer treatments I underwent four back surgeries. Our circumstances affected our ability to walk on any given Wednesday. But the beauty was on display in our willingness to do whatever it took to help the other continue. When a friend faces long-term illness or health trials, it is important that we find the best ways to support them. What I learned from my own and Kelley’s health challenges was how essential it is to respect a friend’s journey—by remaining focused on her circumstance and how we can best walk alongside her through it. Depending on the particular trial, there are several ways to show respect for a friend in the midst of their hardship. Honor their privacy. Sadly, I learned the importance of this the hard way. Kelley’s fight was a long one, and she faced many setbacks. Maintaining communication with our very involved community-at-large was an exhausting, but necessary, task. Therefore, I often posted on Caring Bridge, updated the prayer chain, or organized things on their behalf. One of the times Kelley faced a setback, after receiving the news I went on autopilot and shared it on the prayer chain as I’d done many times before. When she called me soon after, I immediately knew something was wrong. Not one to be dramatic, she simply said, “I wished you hadn’t shared this on the prayer chain. I wasn’t ready for people to know yet.” I had done the unthinkable. In the hardest time of my friend’s life, I wounded her and robbed her of what little control she did have—if and when she would share her own business. I apologized, and she forgave me. But I learned a valuable lesson that day: Don’t hijack your friend’s privacy by talking about their illness or circumstance with other people unless you have express permission to do so. Ask their permission. This is essential, especially if you’re in a position where others are turning to you for information or ways to help. If I had asked Kelley’s permission before sharing on the prayer chain I could have easily avoided disappointing and hurting my friend. Areas to seek permission include visiting, sharing private information, putting their name on anything (race/benefit/fundraiser), changing their schedule, caring for kids, making plans for them, or even offering medical advice. More people have been adversely affected by unwanted medical advice than you can imagine. Well meaning folks have undermined a friend’s treatments and added more angst to an already stressful situation. Another adverse effect of offering unsolicited medical advice is guilt. When you say, “if you went to this doctor or had this treatment you’d be better off,” it’s demoralizing and unhelpful. By simply asking if they want any outside help or advice on the topic and letting them choose, you avoid burdening your friend with unwanted information. Maintain their dignity. People in crisis face an altered sense of who they are, which is sometimes short-lived, but other times it’s forever. Many people told me, “I want to be treated as a person, not an illness.” If you treat them like your charity case, or indicate that you only care about them because they’re ill or in need, they can feel worthless or resentful. Pity is an unwelcome guest when you’re in the middle of a crisis. People want to be loved for who they are, not because of their circumstance. Nourish normal. For many people facing significant trial it’s like moving to another country instead of visiting it for a week. While it’s good to be helpful and sensitive, it’s also important to treat them as you otherwise would. When you promote routine, they might adjust more easily to living in their strange new world. Invite them to dinner just like you would if their loved one wasn’t sick. Ask them to do things you’ve always done together, coffee, movies, dinner, concerts, workouts, book club socializing after word. Better to give them the opportunity to say no rather than assuming they can’t do something. If they’re hospitalized, and you always went out for Tuesday coffee, take the coffee to them instead. 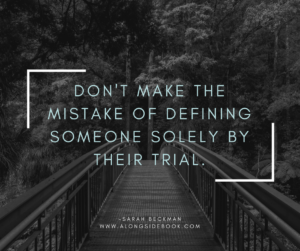 Before your friend’s life changed, they were someone else, so don’t make the mistake of defining them solely by their trial. Nourish normal wherever possible and the person you care about will be grateful you didn’t make it about such and such —at least for today. During my husbands cancer treatments, one of my best friends asked if she could come by to help with some things in the house. She rattled through a list of things she wanted to help with – she didn’t make me decide, we had enough decisions we were making daily. She didn’t do anything glamourous – mostly cleaning the bathrooms and dusting and she didn’t stay to visit — she just came in, took care of things and was on her way. A few times she even came when we were at treatments or in the hospital and just took care of business. That was such a blessing – we continually had a house full of adult children and visitors and it was nice knowing I didn’t have to give those areas a second thought. Sherry, HOW PERFECT! Sounds like your friend knew exactly what to do. What a gift. Specific offers are the very best kind. Blessings to you. Wow, wish everyone could read this! Excellent, just excellent. This is a practical, insightful blog with caring insights. Thank you Sarah and Michelle for posting the blog. Mike, Delighted you found value in it! Press on! What wise and practical advice. I am ordering this book! I never know what to do or say in a crisis. This book sounds like it would really help me be a better friend to my friend when they are walking through a valley. Laura, I’m so glad that you want to be a better friend! How amazing of you to pursue loving others well in their valley… hopefully the book will equip you even further! Excellent! Thanks so much for posting, Michele! Really? How about I just listen to my doctor who has 8 years of medical school and three more years of residency under her belt? I’m thinking that trumps neighbor Jim, with his son’s play chemistry set. concocting herbal remedies his basement. Damon, Oh my! So true! I was at the club the other day talking about back surgery and this girl was trying to tell me I had to sleep with a pain blocker machine to help my back (after 4 surgeries, chiropractor and tons of doctors, no one has mentioned this, so maybe not?) : ) People do care, it comes from the best intended place, but they don’t think! I have a chronic illness called Mitochondrial Disease and it’s a lifetime progressive disease that can only be healed by God. With a long term illness people and support drop off. I don’t think it’s intentional but it hurts and is lonely none the less. 1. Ask me to do activities they know I CAN do with physical limitations. I’ve lost friends because they only do athletic things. I still want to be included in group friendships and outings but I can’t hike mountains. 3. Ask my husband what support he needs and how he is doing. Illness is an US problem. It has changed his life too. 4. Offer practical help when you can. It doesn’t have to be a weekly lifetime promise. But if you have a few moments….ask what needs to be done and go help. I ALWAYS have things that need to be done that my energy allotment doesn’t have room for. 5. Pray WITH me, not just for me. A community of Christian support is critical and often missing with chronic illness. And just because you can’t see my pain, muscle spasms, migraines and fatigue doesn’t mean they aren’t there. They are ….ALWAYS. I’ve gotten good at coping with it and most people don’t want to hear the litany of problems when you ask, “how are you?” Assume I am in pain and tired of not exhausted and imagine loving life like that EVERY DAY. Instead ask “what can I do.” Sometimes all I need is a smile of compassion. It’s really pretty simple. Kimberli, I have heard similar stories of people who tell me that long-term, lifetime health trials are the hardest because the support wanes and it’s lonely. Just let me say, I’m sorry for that. I know I’m guilty as charged, and I pray that I can do better for my friends with long-term struggles. I love your suggestions and thank you for sharing each of them. Many of the subjects you cover are in the book, so Yay! But other thoughts are invaluable. I’m praying for a great alongside-r in your life (or more) so that you will know you are not alone in this struggle. God be with you. Thank you for your honest feedback. The first year after my sister passed away I came home to find that two friends had put together a planter with cowboy boots and purple flowers in it on my front porch to celebrate her birthday. These were the same friends that prayed without ceasing for my sister while she was ill. That they remembered it was her birthday was such an honor. Great post! Having gone through a double mastectomy, chemo and radiation there have been a lot of conversations. My daughter was 10 when I was diagnosed. I work in the medical field and was able to email what was going on to keep everyone updated and hopefully remove some of the fear as well as request prayer. One act of respect and kindness particularly stood out. I was so grateful for the family that took my daughter with them on a spring break vacation just after surgery. They asked no questions other than was I ok and could she go and took care of everything. My daughter called every night but I knew she was distracted and having fun. With all of the food, the cards and the well wishes during that time, I am now mindful of the kids whose parents are going through tough situations and try to do something to bring some normalcy for them. This is very helpful. As I have battled cancer off and on the past four years, I have been so grateful for the friends who “nourish normal.” It’s just delightful to have conversations and activities that have nothing to do with medical issues. 🙂 I have also appreciated when people offer a specific way they could help rather than a general “call me if you need anything.” Thankful for your helpful insights. Beth, so glad your friends are practicing the nourishing normal! YAY! And oh my, the specific offers are GOLD. So glad you’ve got amazing people alongside you. Praying you stay on the “well” side of things… God be with you. Wow, just wow! Michele thank you for inviting Sarah to write. You know enough of my story and from your own, how well meaning people can be and yet be so thoughtless in the midst of tough moments in our journeys. I learned many a lesson for myself in how I will and have dealt with hurting friends, thru my own journey of loss, etc. It’s becoming so very clear that tragedies, tough, tough things are huge parts of the journeys for so many friends these days. So how very timely your book is Sarah. I can’t wait to read it. I think it would be a really great small group study/discussion for our women’s groups. Its a subject dear to my heart as God has placed me time and again in a place of ministry to others who are walking a tough journey. I know at the time we lost our daughter, and consequently the care of her two children, how strategic and important it was to have a couple of treasured friends choose to come alongside and walk thru it with me, still are walking with me, and being consciously considerate of where I was in my struggles with all the aspects of grief and loss. I’m so grateful God saw what was coming and planned accordingly to have them placed there for me and my family. I honestly could not have done it without them and yes, we made mistakes along the way but it was and remains valuable lessons learned as we walk with others in similar journeys. Thanks again for sharing tips of what and what not to do. Love and blessing to you both! Thank you for your honesty. I love the verse “Praise be to the God and Father of our Lord Jesus Christ, the Father of compassion and the God of all comfort, who comforts us in all our troubles, so that we can comfort those in any trouble with the comfort we ourselves receive from God.” 1 Corinthians 1:3-4 Sounds like you’re living that out!!! We will be offering book/discussion question bundles precisely for groups if you’re interested, please send an email to info@sarahbeckman.org and we can get you the information. What a wonderful sounding book and one that we never want to be the recipient of its ideas…as they say it is easier to give than to be on the receiving end…yet we often find ourselves there. In a matter of less than 4 years we lost 2 daughters, one to a life long illness and the other to a short battle with cancer. Oh! How I was supported by family and friends with such wonderful caring ways, yet after years and a heart as a caregiver, I had to learn to be the recipient. I lead a womens Bible study and would love to see this material in every womans ministry…for we are the ones who the church calls on and many do not understand how the best way to respond is. Thankyou for writing this and giving valuable information that will help others as they walk with someone on a difficult journey. May God bless your efforts. I think she’ll never forget it???? A friend showed me great respect by just listening. I was going through a difficult time and seeking God to help me and He was. I needed to just share what God had shown me and have them listen without any comment. We prayed together and thanked Him for His wisdom! Hi. This book seems so helpful and useful. I have gone through trials and have been immensely blessed by those who came alongside me…..and met me where I was….whether it b mourning, rejoicing, seeking, hoping, etc. The Lord blessed me through the hands and feet of his servants. As friends of mine go through trials, I can really reflect on what helped me and what didn’t help me in order to help them and love them. When I was faced with my third battle of eye melanoma and weakened by radiation, my dear friend showed up with much needed laughter. I knew my eye was unsightly (in more ways the one), and my un-crafty girlfriend proudly gifted me with a “bejeweled” black eye patch. To truly appreciate this present you need to understand that this women and glue sticks are mortal enemies. She avoids crafts like the plague. Acknowledging the elephant in the room (my weakened eye), she had addressed my need to shield it from unwanted attention and explanation but more importantly showed up with joy and laughter when others were walking on egg shells. That’s beautiful! And Funny. And there are times we just need to laugh. What a precious thoughtful gesture. Yay to those who know what to do! My brother just died unexpectedly and one of his friend who I don’t know sent me a long letter of caring and encouragement. I have been heartbroken since he died! It really helped me a lot! Remembering the one we love is what we most want to do, right? When I lost my brother suddenly to a heart attack, my most precious memory was those that sent me cards… I re read them over and over and over in those early days and cried each time. It was a huge part of my healing. We can never underestimate the power of the written word. Doesn’t have to be eloquent, but when it’s about the one we are mourning, it’s priceless. Thanks for sharing! Thanks alot for giving us this opportunity to win.during a time of need a lady from my church bought me and my husband Christmas outfits for church service. Some powerful advice here… thanks for sharing! blessed to share here. and thankful to so many who provided great insight to write the book’s contents. After years of infertility, the week after the birth of our second son. (Our other was seventeen months.) My husband’s job was sending him to Thailand. We lived fourteen hours away from our nearest family. The ladies of the church we use to attend (we had moved away to the other side of town acrossed the river) came to my rescue. Every night while my husband was gone, they provided meals for me and my son. They watched them so I had time to take a shower, do my hair and a little Bible time. I felt so blessed during this time. These ladies had jobs and families of their own and they took the time (over a thirty five minute drive or more), to make sure I didn’t have to worry about cooking a meal. And to know I wasn’t alone. We moved away years ago, but I still have fond memories of that time. Nothing sweeter than when the “church” is rising up and showing herself to be the perfect alongsid-er. Praise God you were helped so well. Jana, Wow. sounds like you had great alongsid-ers! Yay! I understand your gratitude! Kathy, Yes BE PRESENT. That is a gift in and of itself. I have a friend, my walking buddy who has strode alongside me literally and figuratively. She listens to and groves with me without judgement or offering unsolicited advice. She “gets” me. Now she’s moved 600 miles away and we’re still trying to figure out our long distance friendship/sisterhood. There are so many trials these days…. from every day life to illness to caring for family. It’s always been a struggle for me in finding the right words. Marcia, hopefully the book will give you actions when the words just aren’t going to help. : ) It is a hard road to navigate. I have been shown respect by someone just listening. Don’t tell me you understand unless you have truly walked in my shoes and through my trials over my son’s mental condition. I do not need your recommendations on how to handle it; o have enough contradicting thoughts between my own mind and the people tasked to help him. so true on every level. I say “listen don’t fix and listen don’t compare” two golden rules for listening we can all abide by! I was ” allowed” to say no and not feel guilty. I’m a people pleaser, and have appreciated when my ” no” is not called into question. Would love to read this book, for how to handle these kind of situations with thoughtfulness and care. This is wonderful. My very close friend and I are walking the road of constant headpain–many states separate us, but our connection is deeply rooted. Our health struggle has upended our cognition, our personalities, our lives. We laugh together about ridiculous comments people make and asinine ways medical personnel treat us; we cry about connection with family and about lingering here without answers, without help. I realize in reading your suggestions, Sarah, that I may have hurt her by offering my strong dismay at her plan to return to a special clinic–one I felt gave her flawed medical treatment a few years ago. I respect her desire to keep pursuing help and THAT is what she should hear from me–I can pray for wisdom for both of us, but she deserves my constant support and edification. Thank you for what you’ve shared. Natalie, I’m sure your friend understands, and there are times we “process” with those really close to us about medical advice to be sure, but for the most people who aren’t in that super close inner circle, their medical advice is best left unsaid. We mean well! but when we add our advice into the cacophony of the countless other folks offering it, it just becomes noise huh? I am praying for you and your close friend. Many stories from the book are about me and my good friend, Kelley, who walked medical trials at the same time (although very different!) still so nice to have a compatriot in the mayhem. Bless you and your friend. What a thoughtfully written blog. I am very interested in reading the book and have a great desire to learn love others more effectively . This gift would be a great way to speak into the lives of those I walk alongside. I love this, thank you for posting. I am good at providing meals, but at times I am at a loss on what else I can do to be a true support. This is so helpful and now I will order the book. I have not gone through a huge trial in my life yet. I do appreciate and love those that walk alongside me through the bumps (i.e the friend bringing my daughter home so I do not have to trudge to school with my crutches right now) Thank you! Willing to sit with me and watch me in my pain even though it must have been so uncomfortable not to be able to fix it for me. Yes and Yes. And Yes again. Oh that we would all be able to “enter in” knowing there is a holy and precious space to be encountered, even if we cannot fix. So here is my deal. I’m terrible about asking for help or admitting when I need it. Five years ago my husband suffered a cardiac arrest that while he survived he lost his sight as a result. We had a three year old, a nine year old and an eleven year old at the time. It was hard almost too hard. The best thing my friends did for me was to do normal things. Grab brunch, go to the movies. Made sure I still lived through the hard. My “normal” changed the day my son was born; with Down Syndrome and the BEST friends were those who still did “normal”. They brought meals, played with my other kiddos, helped with Daily “stuff”, celebrated “A Baby! (yay)….and all the while respected that my life was (suddenly) anything but Normal. Dawn, YAY is right! Thank goodness for friends who nourish normal. A gift in itself. Thank you Michele for posting this. I wish everyone could read Sarah’s blog! Such great and practical advice. 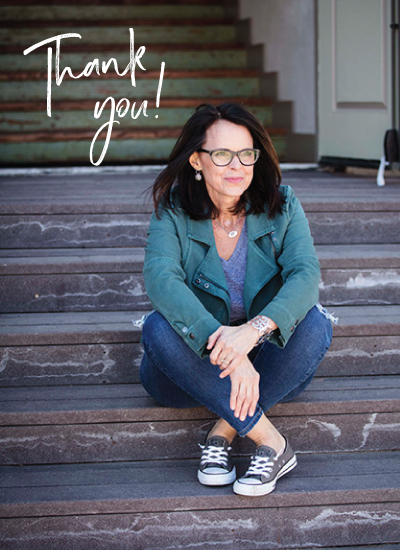 Share away Teresa : ) But I know…It’s hard to coach people how and what to do… but hopefully the more the book spreads the more equipped people will be. A message for us all. Powerful words. Our hearts long to do and say the right thing … often we fall short. We have been on both sides of the journey. Thank you for giving space to deep feelings. I spent 5 weeks in the hospital when I was pregnant with my son and then 2 months on bed rest after that. At the time, I had 2 other children at home and my husband is a pastor. The love and compassion shown by our church was amazing. People brought food and 2 wonderful ladies cleaned my house once a week. I learned how hard it is to be on the receiving side of giving. These people ministered to me in my time of need. Receiving is SO MUCH HARDER in my opinion! : ) And I had bedrest and 4x surgeries to learn it… but now I give in a little different way, knowing a big part of my job is to find ways to help the recipient receive it easier. So glad you were blessed. Just beginning to walk through a medical trial with my friend. Made me consider how to bless her. Thank you! This isn’t such wonderful information. It’s hard to know what to do when a friend is going through something but these tips will undoubtedly help me in the future! When my son was in the hospital for 3 weeks our Sunday School class gave us an offering to help with gas and food, and gift cards to the area restaurants, and also freezer meals to make anytime we needed them. I’ve a longtime close friend entering into a heartwrenching portion of life right now. I’d love to be sensitive enough to her needs to not add to her woes, to be able to walk alongside her through this time and support and encourage. I’m not naturally gifted with tact and I need help. Resa, I hope you find courage to do so within its pages! Blessings to you. Sitting quietly beside the hospital bed, going to therapy appointments, celebrating successes. When my husband was killed in a car wreck on 2008, I had to fill bankruptcy and I lost a lot. My two young children and I had to move to my parents home. Several friends from church came and helped me pack and move. Then on Thanksgiving they made sure we had enough to eat and for Christmas my children had plenty of gifts because of my friends and family that God placed in my life. Kelly, I’m sorry for the devastating loss you have faced. I am thankful people from your church were amazing “alongsid-ers” for you. Praise God for that! I tend to bring meals, if I know thst will be helpful. I have a friend who is elderly with cancer right now and all she wants is for me to come and let her hold my baby. So she holds my new baby abd I just listen to her. She’s very lonely and just longs for companionship. She doesn’t need meals or cleaning, just a listening ear. Sarah, How precious! Quality time is a huge gift for so many people! Yay YOU! I will be facing my time of need in June when I will be undergoing an extensive surgery requiring me to miss 3 months of work. I am reading and trying to learn through this experience so that I will be better equipped to help others. I have already learned so much from Sarah, and look forward to reading her book, Alongside. WOW! I didn’t know this… praying already for you. One of the hardest things to do is to receive, but remember, you rob the give of the blessing if you don’t let them give. : ) Love you friend! When my aunt was sick with terminal cancer my mother went and cleaned her house, sat with her, cooked for her and made as comfortable as she could. My mother promised to be with her when she died. My mother was honored to be there with her and fulfill her final wishes. Julie, Sounds like your Mom has the alongside gift! I love when we have good role models to learn from. 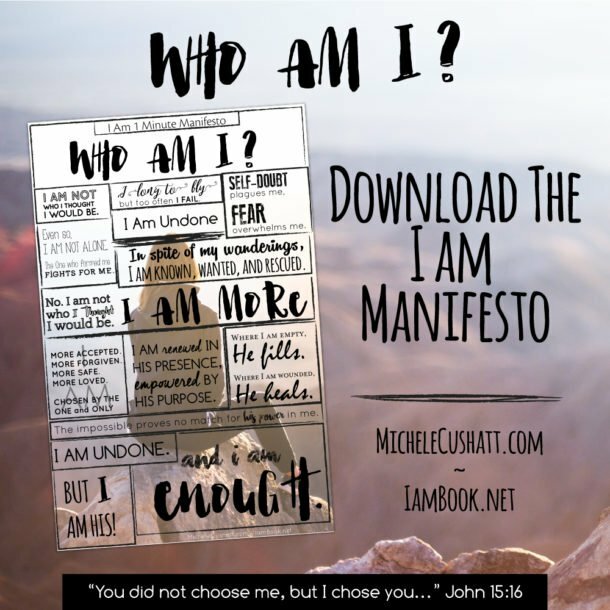 Have the day off tomorrow and will be going to purchase I am by Michelle Cushatt….. LOVED Undone!! If she recommendsAlongside… that’s good enough for me!! Looking forward to reading it! After being diagnosed with Stage 4 Breast Cancer last year, my massage therapist and friend’s “Alongside” gestures really stand out. She started a Meal Train for me where gals from her yoga studio signed up as well that I hadn’t met before. After starting chemo, every week she would drop off a dozen of fresh baked zucchini muffins that both my daughter and I just loved. They were my “go to” food that I could eat when everything else didn’t agree with my pallet. “Alongside” of her baked goods, she donated her services of weekly massages for me when I gained the strength and energy to leave the house. She has shown me what being “Alongside” someone truly means. Trina, AMAZING! so glad you were supported so well. Meal Train, massage and muffins! triple M blessings. : ) Praying for full Healing! During an extremely humiliating and discouraging time, my friend, Carol, was there for me. She listened, truly listened, and allowed me the freedom to cry or to verbally attempt to make sense of what had happened without interrupting. When the situation called for some necessary decision making, Carol was able to provide some valuable practical information that enabled me to do what I needed to do so that some good did come out of what was one of the most painful periods of my life. Her friendship and God’s grace provided me with the love and strength I was in such need of during that time. As I watched and listened to Michelle’s introduction to her video, I felt so connected to her and what she was expressing. 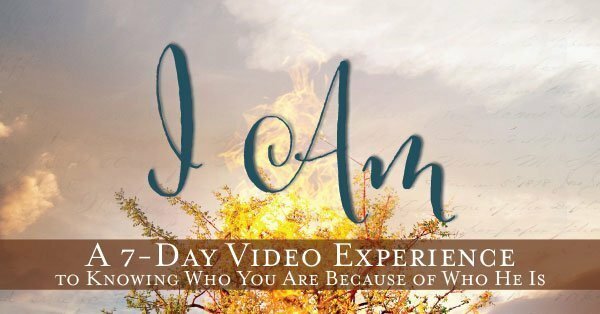 I signed up for the video and want to read I Am . My husband has suffered through bladder and prostrate cancer, larynx cancer and is now in the end stages of ALS. He has been ‘sick’ or in trial, for the better part of the last dozen years. During these years I have been his primary caregiver and advocate, putting my professional life on hold during those times of intense need. I have always maintained my affiliation with my church, but had moved away from active participation. Imagine my surprise when total strangers would tell me that he was on their prayer list, even ten years after a major and almost fatal surgery. Knowing he was being prayed for and recognizing my need to reconnect with my church community, I returned to full participation in church service. During these last two years when we faced surgeries, multiple hospitalizations, and now in home Hospice care, fellow Nurture Guides have surrounded us with prayer, brought meals, come to dust and clean the house, run errands, bring lunch and conversation and arrange for regular house cleaning. Little gifts, flowers, books, cards, prayer shawls just show up. At this point I am essentially housebound so the visits and reminders of their love and support bring light into some very long, tiring and gray days. They are walking alongside us as we take this journey. This information has helped me so that I will include and over-step my boundaries, while trying to help.